Beam Camp is a unique and intensive experience in making and collaboration for young people. Due to our program's specialization, our organization's commitment to economically disadvantaged youth and, the size of our facility, our camper enrollment process must be as selective as our choice of staff and projects. Our application process for all prospective new campers helps us provide the opportunity to attend Beam Camp to campers at all levels of economic circumstance who can most benefit from and value the experience. Prospective new campers are requested to complete the New Camper Application. Returning campers may register using the Returning Camper Registration. New families interested in Tuition Assistance should email Kathryn@beamcenter.org. 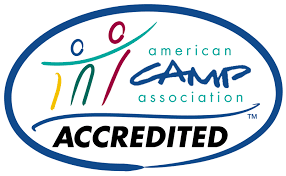 Whether new or returning we encourage you to consider your decision to apply and/or register carefully based on an understanding of how the Beam Camp program can contribute to the development of your child's or teen's growth, abilities and interests.